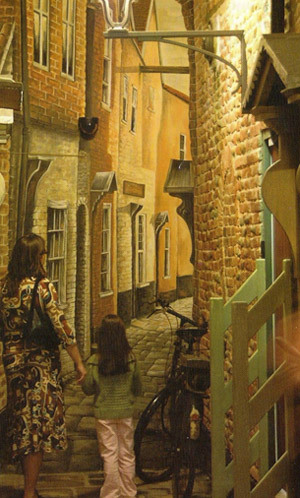 After many years as a self employed sign artist and oil painter, an opportunity arose to work as a scenic artist with Attraction Projects Worldwide Ltd. During his time at APW, Mark progressed to senior scenic artist and worked on projects and commissions both in the UK and internationally. In 2001 Mark decided to set up his own business, Harper Art Services, located in Norwich, Norfolk. Harper Art Services provides a COMPLETE CREATIVE ART SERVICE from small oil painting commissions to working on major international projects.